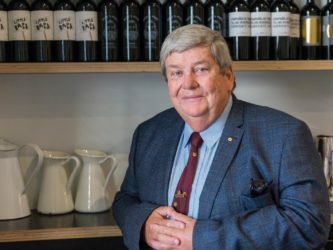 During Bruce Perks’ presidency of the Adelaide Beefsteak and Burgundy Club his wife, Johanna, floated the idea of an overseas food and wine trip for the Club. The idea found fertile soil and Spain was the chosen country. Johanna did some intensive research and after communication with Spain was satisfied the right company had been found to meet the criteria and standards the group would expect. This information was passed onto Phil Kleinig as an experienced member of the Club as Phil had also been doing his research. In his inimitable manner he added some of his own panache and a wonderful two and half week extravangza was born!! Gourmand Breaks was the company selected. It is based in Girona, Spain. This choice of a travel company is very important as it can make or break a trip; in this case, it very much made it. 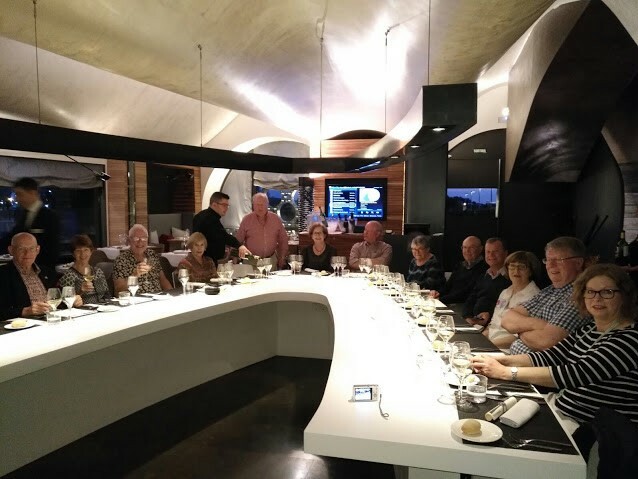 And that is how eight members of the Adelaide Beefsteak and Burgundy Club, in addition to seven of those members’ partners, met in Barcelona, Spain on 17 December 2017 for this trip through Spain and Portugal, with a particular focus on food and wine, that ended in Lisbon, Portugal on 2 October 2017. The eight members were Immediate Past President, Bruce Perks, Life members and Past-Presidents, Peter Johnston, Phil Kleinig and Brian Lilley, Honorary Secretary, Vin Thomas, Committee member, David Dyke and Past Committee members, Silvio Cattonar and David Day. 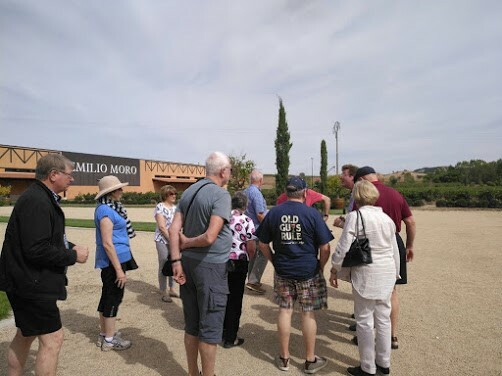 After a couple of days exploring the sights and tastes of Barcelona (and residing in an excellent harbour-side hotel) the group set off with guide Carles to the first wine region of the trip. This was the Penedes Wine DO Region, south-west of Barcelona. Ninety-five per cent of Spain’s sparkling wine, cava, is produced in this region. The group visited Codorniu Winery to learn about and taste cava and to explore the huge underground cellar labyrinth. This was followed by a visit to the Pares Balta Winery which since 2004 has been certified as ecological/organic. The group found it interesting on their tour of the vineyards to learn of the winery’s flock of sheep that kept the grass down and fertilized the soil. 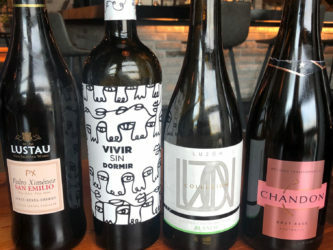 The winery uses many grape varieties including the traditional cava grapes, Macabeo, Xarel.lo, and Parellada, as well as more well-known varieties Syrah, Cabernet Sauvigon, Chardonnay and Gewurtztraminer. The high standard of accommodation was continued with a stay at the Mastinell Hotel and Winery. The hotel building is uniquely designed and provided many points of interest and discussion. As well, it was the location of a very enjoyable degustation dinner! Two nights were spent in this five-star accommodation as the second day there the group visited the Priorat Wine Region, which included a visit to the Clos de l’Obac Winery, a favourite of Robert Parker. 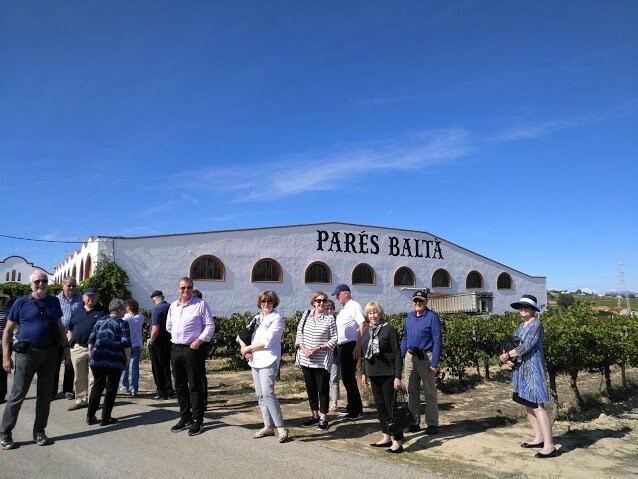 The group was very fortunate to be led through a tour of the winery and a tasting of the winery’s excellent wines by one of its owners and founders Carles Pastrana. This was followed by an enjoyable lunch at another winery, Clos Figueras, which grows Grenache, Carignan, Syrah, Cabernet Sauvignon, Monastrell, Viognier and Chenin Blanc grape varieties. Part of the touring activities included a visit to the Carthusian Monastery of Santa Maria d’Escaladei, the birthpace of the Priorat Wine Region. The next region visited was in the north of Spain, the La Rioja DOQ Wine Region. Accommodation was at Laguardia, a walled medieval village, founded in 1164. Located on a hill it gave spectacular views of the surrounding countryside. There are no cars in the village, which makes it very pleasant to walk around seeing the buildings and alleyways. Any commerce is carefully accommodated so as to not detract from the residential ambience of the village. The winery visited in the region was the Lopez de Heredia Vina Tondonia Winery. Apart from the historic nature of the winery with its cellar, a significant point of interest was its approach to winemaking, which has not changed since the 1880’s: make wine only from their vineyards, do their fermenting in large oak vats, some of which are 139 years old, age the resultant wine in American oak barrels and store the barrels for a minimum of three to ten years in cellars with perfect temperature and peace. The same approach is used for whites as for reds. The group then travelled south to spend a couple of days in Madrid, visiting the El Prado Museum, historical areas including old Madrid and enjoying the food, especially tapas. Most of the group also undertook a tour of the Royal Palace. 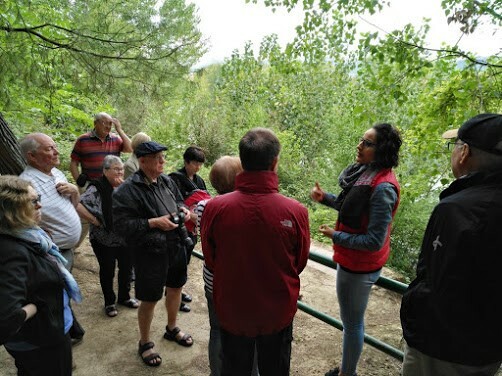 Back on the road, the group stopped in Segovia to view the magnificently preserved Roman aqueduct built around 50 AD, as well as the medieval walls. Then it was onto the prestigious Emilio Moro Winery with its impressive range of wines, featuring Tempranillo known as Tinto Fino in this region of Spain. Accommodation that night was in a lovely renovated former convent in Penafiel, with its impressive castle, medieval churches and interesting old town. A walk around a section revealed a square defined by two and three-floor private homes that become viewing points for bullfights held in the square. Then it was onto the Duoro Valley. 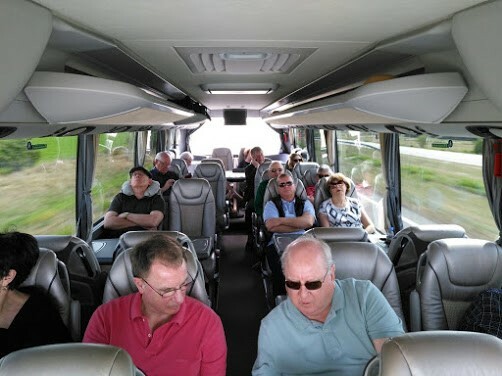 Wonderful scenery could be sighted from the bus as the group wound its way through the mountains and valleys to arrive at a winery where lunch was provided in a setting that provided spectacular views across the mountain vineyards of Quinta do Crasto to the River Douro. Varieties of the area include Touriga Nacional and Tinta Roriz. The accommodation for the next two nights was on the bank of the river at the Vintage House Hotel in Pinhao, a beautiful hotel in a beautiful location. Many cruise ships anchored nearby on their trip along the Douro River. 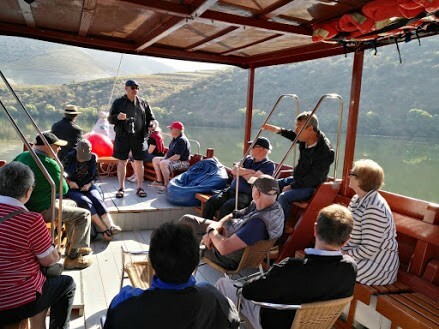 The group, though, took its own chartered boat for a morning cruise along the river to view the scenery, particularly the terraces of vines. Lunch was held at the Quinta de la Rosa Winery on the side of the river, with great views up and down the river. A tour of the winery was very interesting, particularly the discussion concerning the tradition of foot-stomping the grapes. 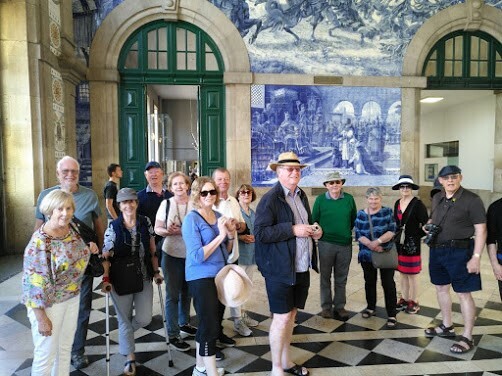 The following day was a pleasant trip once again through spectacular scenery to Porto, where the group was soon into a sightseeing walk viewing Porto’s sights, including the Sao Bento railway station with its impressive blue and white tiles depicting historical events. Accommodation was at the spectacular Yeatman Hotel, with its views across the Douro River Valley to Porto. 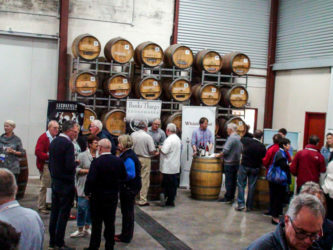 It was also conveniently located next to Taylors, where the group was introduced to the company’s history, port making and tasting of its port wines. 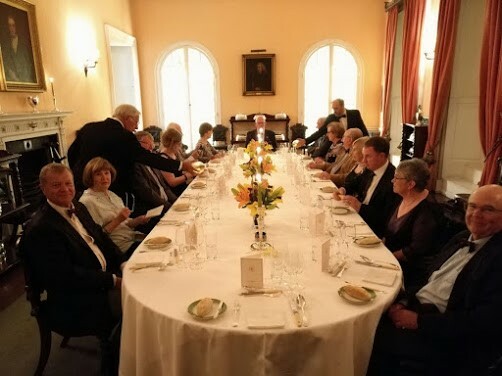 In the evening the group was privileged to visit to Factory House for a guided tour followed by a very enjoyable dinner accompanied by wines and ports. The Factory House was originally conceived as a meeting place for British shippers to discuss business, but the house became a private club for the British where they strategised their hold over the manufacture and export of Port wine. Now it is an exclusive club for British companies involved in the port trade. The visit there was organised through the contacts of Phil Kleinig. The day trip to the group’s final destination, Lisbon, was broken by a delicious Portugese seafood lunch at Cascais. The trip organised by Gourmand Breaks finished with a guided sightseeing tour of Lisbon, including a local tapas lunch. The final day for the group was a day tour organised by Phil to the fascinating town of Sintra with its various palaces. So, on the final morning of departure as each member wondered why their clothes had shrunk one to two sizes in two and half weeks….in summary it was agreed it was a trip that was greatly enjoyed by all participants. Apart from the obvious fascinating locations, the trip was a great success because it was quality all the way: the guide, Carles, was not only a great font of knowledge, he was highly personable and engaging; the accommodation was top-class and each interesting in its way; the meals were very enjoyable and interesting, featuring as they did the local produce and dishes; and the wineries were most interesting, each unique in its approach and production. 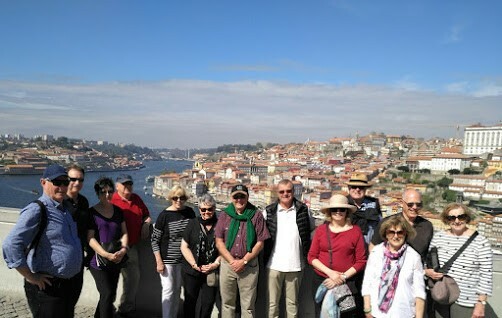 It was also a success because of the balanced mix of tourism, food and wine which kept participants’ interest up during the duration of the trip. The Club is certainly considering undertaking more trips of this nature in the future.